February 4, 1909:Dr. John L. Leal testified at the second Jersey City trial about the first use of chlorine for continuous disinfection of a U.S. water supply at Boonton Reservoir, which was the water supply for Jersey City, New Jersey. The transcript from February 5, 1909, revealed that Leal had also installed a chloride of lime feed system at the filtration plant at Little Falls, New Jersey. He stated that he had experimented with chloride of lime addition some months before and that he was now using it daily. Thus, the trial transcript provides the first written evidence of the second continuous use of chlorine to disinfect a drinking water supply. This was also the first time chlorine was used in conjunction with mechanical filtration. Winslow was born in Boston, Massachusetts and attended Massachusetts Institute of Technology (M.I.T. ), obtaining a B.S. in 1898 and an M.S. in 1910. He began his career as a bacteriologist. He met Anne Fuller Rogers when they were students in William T. Sedgwick’s laboratory at M.I.T., and married her in 1907. 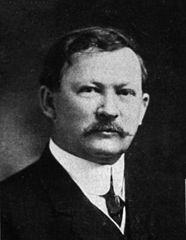 He taught at the Massachusetts Institute of Technology while heading the sewage experiment station from 1908 to 1910, then taught at the College of the City of New York from 1910 to 1914. He was the youngest charter member of the Society of American Bacteriologists when that organization was founded in 1899. With Samuel Cate Prescott he published the first American textbook on the elements of water bacteriology. 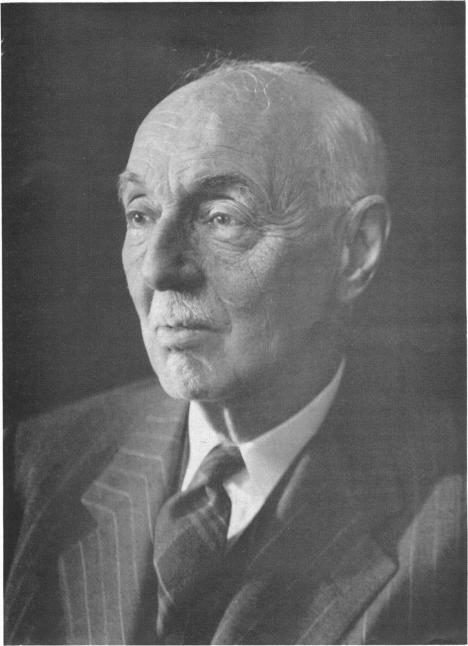 In 1915 he founded the Yale Department of Public Health within the Yale Medical School, and he was professor and chairman of the Department until he retired in 1945. (The Department became the Yale School of Public Health after accreditation was introduced in 1947.) During a time dominated by discoveries in bacteriology, he emphasized a broader perspective on causation, adopting a more holistic perspective. The department under his direction was a catalyst for health reform in Connecticut. He was the first director of Yale’s J.B. Pierce Laboratory, serving from 1932 to 1957. Winslow was also instrumental in founding the Yale School of Nursing. 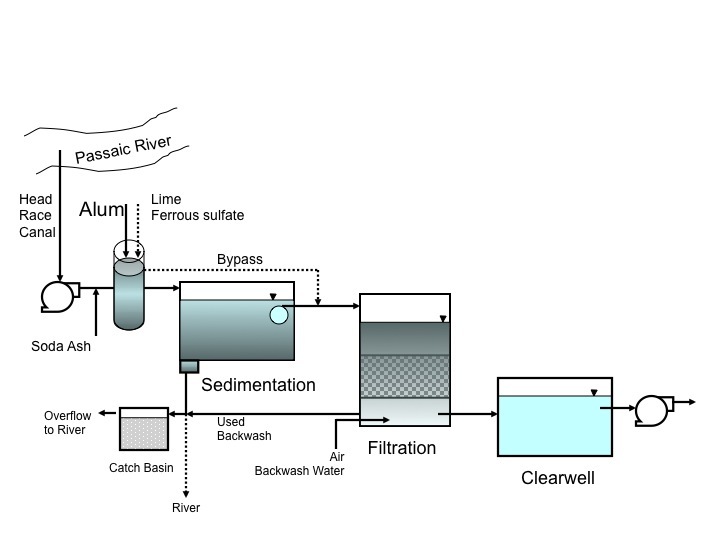 This entry was posted in Year 7 TDIWH and tagged bacteriology, Charles-Edward A. Winslow, chloride of lime, chlorine, disinfection, drinking water, Jersey City, John L. Leal, Little Falls treatment plant, MIT, New Jersey, public health, The Chlorine Revolution, water, water history, Yale, Yale School of Public Health on February 4, 2019 by safedrinkingwaterdotcom. A model predicted the tsunami wave height from a Jan. 8, 1817, earthquake offshore South Carolina. The earthquake’s magnitude was estimated at 7.4 from newspaper accounts. January 8, 1817: Tsunami on the Delaware Estuary. New geological modeling has suggested that a magnitude 7.4 earthquake occurred off of South Carolina in 1817. The resulting tsunami tossed boats around on the Delaware Estuary south of Philadelphia according to newspaper reports at the time. “The size and location, or epicenter, of the 1817 earthquake has never been pinned down so closely before. U.S. Geological Survey research geophysicist Susan Hough and her colleagues zeroed in on the source from newly uncovered archival records, looking at where the shaking was strongest. But they weren’t sure about the tsunami link: The 11 a.m. arrival time seemed too late for a 4:30 a.m. earthquake. So they created a computer model of the tsunami, testing different locations and magnitudes. The best fit to force a foot-high (30 centimeters) wave up the mouth of Delaware Bay by about 11 a.m. was a magnitude-7.4 earthquake offshore of South Carolina. 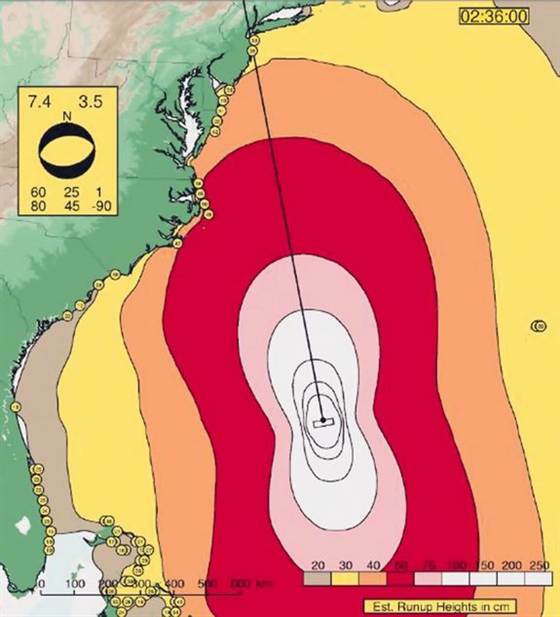 The foot-high tsunami wave started about 800 miles (1,300 kilometers) south of Delaware Bay and 400 to 500 miles (650 to 800 km) offshore of South Carolina, according to the study, published in the September/October issue of the journal Seismological Research Letters…. This entry was posted in Year 7 TDIWH and tagged bacteriology, Charles-Edward A. Winslow, drinking water, MIT, public health, water, water history, Yale, Yale School of Public Health on January 8, 2019 by safedrinkingwaterdotcom. Dr. Rupert Blue, 4th Surgeon General of the U.S. The bacterial plate count on standard agar incubated for 24 [hours] at 37 [degrees] C was not to exceed 100/cc. The recommended procedures were those in Standard Methods of Water Analysis(APHA, 1912) [2nd edition]. These standards were drafted by a commission of 15 appointed members. Among the members of this commission were Charles Gilman Hyde, Milton J. Rosenau, William T. Sedgwick, George C. Whippleand C.-E. A. Winslow, names well known to those who have studied early developments in water treatment. Reference: AWWA. Water Quality and Treatment. 3rd ed. New York:McGraw Hill, 1971, p. 16-7. Commentary: Sedgwick, Whipple and Winslow were professors at MIT, Harvard and Yale, respectively. They were also expert witnesses who played prominent roles in the lawsuit between Jersey City and the Jersey City Water Supply Company in 1906-1909. During the second Jersey City trial, they adamantly opposed the use of chlorine by Dr. John L. Leal. The story of the trials and the first continuous use of chlorine to disinfect a U.S. water supply are detailed in The Chlorine Revolution: Water Disinfection and the Fight to Save Lives, which was published in the spring of 2013. This entry was posted in Year 7 TDIWH and tagged Charles-Edward A. Winslow, drinking water, George C. Whipple, John L. Leal, regulations, Surgeon General, The Chlorine Revolution, Treasury Department, water, William T. Sedgwick on October 21, 2018 by safedrinkingwaterdotcom. This entry was posted in Year 6 TDIWH and tagged bacteriology, Charles-Edward A. Winslow, drinking water, MIT, public health, water, water history, Yale, Yale School of Public Health on January 8, 2018 by safedrinkingwaterdotcom. The recommended procedures were those in Standard Methods of Water Analysis (APHA, 1912) [2nd edition]. These standards were drafted by a commission of 15 appointed members. Among the members of this commission were Charles Gilman Hyde, Milton J. Rosenau, William T. Sedgwick, George C. Whipple and C.-E. A. Winslow, names well known to those who have studied early developments in water treatment. This entry was posted in Year 6 TDIWH and tagged Charles-Edward A. Winslow, drinking water, George C. Whipple, John L. Leal, regulations, Surgeon General, The Chlorine Revolution, Treasury Department, water, William T. Sedgwick on October 21, 2017 by safedrinkingwaterdotcom. February 4, 1909: Dr. John L. Leal testified at the second Jersey City trial about the first use of chlorine for continuous disinfection of a U.S. water supply at Boonton Reservoir, which was the water supply for Jersey City, New Jersey. The transcript from February 5, 1909, revealed that Leal had also installed a chloride of lime feed system at the filtration plant at Little Falls, New Jersey. He stated that he had experimented with chloride of lime addition some months before and that he was now using it daily. Thus, the trial transcript provides the first written evidence of the second continuous use of chlorine to disinfect a drinking water supply. This was also the first time chlorine was used in conjunction with mechanical filtration. This entry was posted in Year 4 TDIWH and tagged bacteriology, Charles-Edward A. Winslow, chloride of lime, chlorine, disinfection, drinking water, Jersey City, John L. Leal, Little Falls treatment plant, MIT, New Jersey, public health, The Chlorine Revolution, water, water history, Yale, Yale School of Public Health on February 4, 2017 by safedrinkingwaterdotcom. foot-high (30 centimeters) wave up the mouth of Delaware Bay by about 11 a.m. was a magnitude-7.4 earthquake offshore of South Carolina. This entry was posted in Year 5 TDIWH and tagged bacteriology, Charles-Edward A. Winslow, drinking water, MIT, public health, water, water history, Yale, Yale School of Public Health on January 8, 2017 by safedrinkingwaterdotcom.